June started in style in Montreal this year: last weekend the International Beer Festival took place, and this weekend Formula 1 fans from all over the globe gathered in Montreal to watch the legendary race. But did you know that June is also the month of roses? 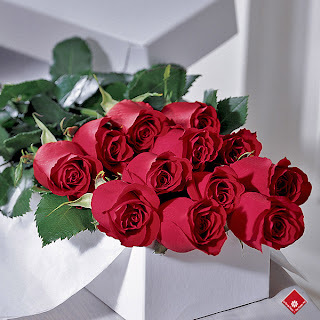 Our friends south of the border have been celebrating June as the month of roses since President Ronald Reagan signed legislation that made roses United States' National Floral Emblem. Now The Flower Pot has decided to celebrate with them. In honour of the official rose month, The Flower Pot will be giving roses pride of place. Stay tuned for our great rose specials, that will kick in right after Father's Day. In ancient Rome, the period from mid-May through mid-June was considered inauspicious for marriage. Ovid, the ancient philosopher, says that he consulted the Flaminica Dialis, or the high priestess of Jupiter, about setting a date for his daughter's wedding, and was advised to wait till after June 15! If you've already spent months planning your wedding, and the date is set for before June 15, never fear. While the end of June is best, according to Plutarch, another ancient philosopher, weddings at any time in June are much better than weddings in May. While the month of June means different things to different people, roses almost always represent beauty and love. They are also used to commemorate historic events and festivals. Check out our website for other great deals while you wait for our June Rose sales. If you have questions or comments, or are simply in need of a friendly chat, don't hesitate to call us, 514-938-1234, or drop by. We'd love to show you around our cosy Griffintown shop!